Things are going pretty well for Josh Brolin as of late. He's Thanos in the upcoming Infinity War, which might go down as one of the biggest movies in history, as well as portraying Cable in Deadpool 2. However, things were almost very different for the actor. He recently revealed that he was in the very early stages of talking to Zack Snyder about taking on the role of the Caped Crusader in Batman v Superman. While looking back, Brolin says that he's "really glad" that the talks didn't progress. In a new interview promoting Marvel's Infinity War, Josh Brolin was asked about why he didn't take on the role of Bruce Wayne in Batman v Superman. The actor insists that he was in very early talks with Zack Snyder and that they were "indirectly" exploring the idea of collaborating on the project. In hindsight, Brolin is happy that the part went to someone else. He explains. "We indirectly talked about it, but we never got to the point because I wasn't the guy for him. I'm really glad it didn't happen. I haven't thought twice about it." 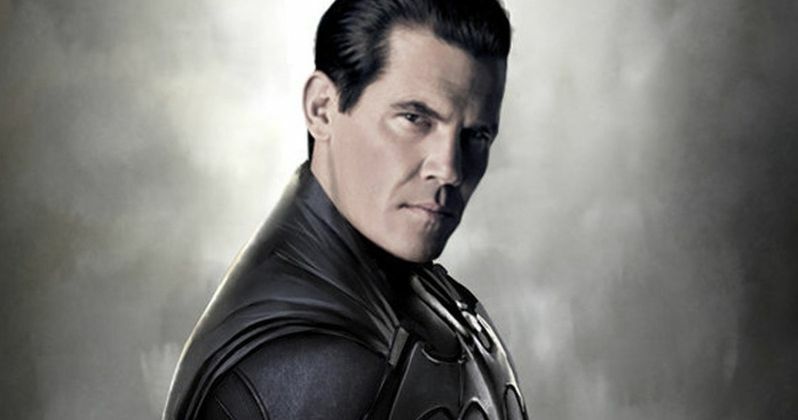 Things would be a lot different for Josh Brolin had he been offered the part of Batman by Zack Snyder. He more than likely would not be starring in both Infinity War and Deadpool 2. The sure bet is that he would've stayed on as Thanos since that part was sealed back in 2012. However, it seems that it would've been impossible to do Deadpool 2 after the work that went down for Justice League. Still, it's interesting to think about what kind of Batman that Josh Brolin would've played in comparison to what Ben Affleck did with the character. Speaking of Ben Affleck, it's looking more and more likely that the actor will not be returning to the role of the Caped Crusader in Matt Reeves' The Batman, leading to speculation about who will be jumping into the role next. Jake Gyllenhaal's name was thrown around quite a bit when it was reported that Reeves was looking to cast a new actor. But, Gyllenhaal has since denied the reports that he will be the next Batman. Jon Hamm's name has also been heavily rumored, but nothing has been officially announced at this time. For now, Josh Brolin is very happy that he did not join the DCEU for Batman v Superman. Marvel fans will be able to get their first full view at Brolin as Thanos in Infinity War, which hits theaters next week. Brolin is very excited about the role and recently spoke about how surprised he was at how good the motion capture work and digital effects are in the movie, noting that you can see every detail in his face, even the blinks that he made. You can read the rest of the interview with Josh Brolin and his thoughts on the DCEU over at Comic Book Movie.